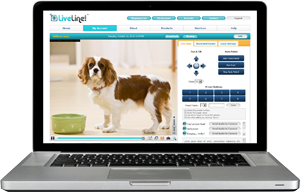 LiveLine is an easy-to-use IP camera that allows you to monitor your pets, babies, children, elderly parents, home or business. 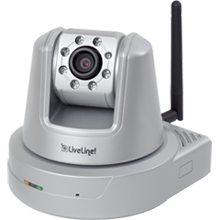 LiveLine camera features 24/7 live video streaming, recording, night vision, snapshots, remote pan and tilt control, digital zoom, wireless connection and more. Access your camera from any computer. View and save recorded video. You can remotely control your camera from your computer. LiveLine Mobile – Watch your video from anywhere you go. You can watch video using your iPhone, iPad, and Android phone/tablet with our free iPhone/Android App or any smartphone with a mobile browser.